Mate, I am so envious! You guys are AMAZING! But does this mean you are staying put in New Zealand? Or will you start driving again someday? We will keep up the traveling but this means we will actually have a home to come back to, to store our things, and to keep us sane. NZ will be our new base but we will launch out from here and will get our truck ready for next African trip. Also, I will be traveling more to other continents on occasion by myself (South America in June) and leaving the family behind. Part of our transition from Europezone to wider world. if we were alone in our paddock, we would do a composting toilet but since we are living at an old Presbyterian camp [turned into a community} there are toilets available. This is amazing. I am always impressed by people like you. I don’t imagine that I’ll ever be able to do likewise, but I love looking at your photos and dreaming. Looks great, what are the dimensions? Janelle thinks it looks awesome. Fantastic! Keep up the good work guys. You are an inspiration to all of us who are trying to downsize, simplify, and generally turn our minds away from the 21st century consumer-throwaway-endless resources concept. The picture made me wonder if we are still allowed to cut a tree as huge as that one. But the concept is good. It would be a great place to live in if good insulation and plumbing were installed. And it’s affordable and green, even if they almost doubled the last price. Wow,This is so expensive house yet very Eco-friendly.I guess all the materials are worth because it is safe at the same time you help to save our mother earth. 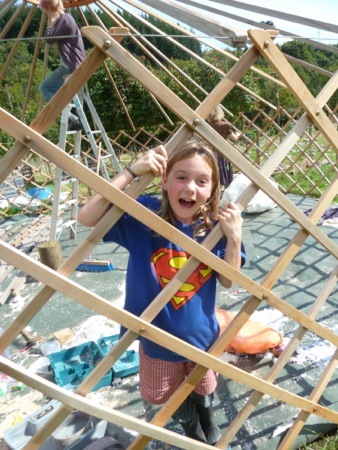 we live in Wellington, about to move to Coromandel and thinking about buying a Jaia Yurt as our new home. Curious about the storm damage to yurt… where did it happen in NZ and was the English woman ok, what condition were the rafters in? Keen to live in a sturdy yurt. yur yurt is saweet mate. My wife and I are coming back to New Zealand after 2 years away in England. 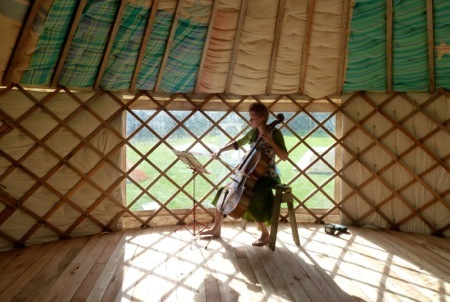 We are really keen on getting a site in Auckland to put up a yurt to live in full time. Hi there!! 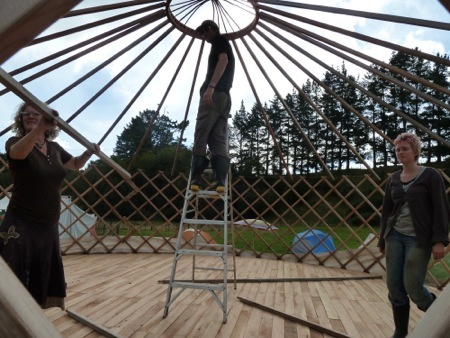 Just wondering, me and my partner are about to build a wooden floor for our Yurt- is there any advice you could give us for insulating it and how you actually did it?? How many posts into the ground and what you did for framing etc?? Any help would be much appreciated!